Successfully Added Smooth MP3 Sunglasses 2GB - MP3 WMA WAV Music to your Shopping Cart. 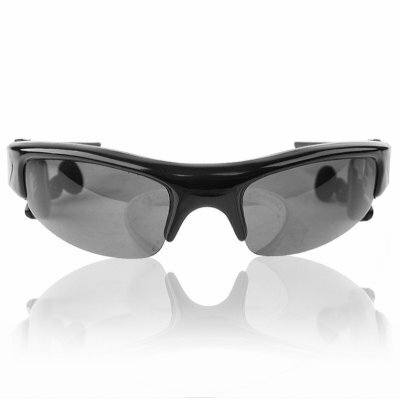 Smooth looking black sunglasses for not only keeping out the suns rays, but for listening to up to 2GB of digital music in MP3, WMA, or WAV format. This cool looking MP3 Sunglasses combo will comfortably fit on the head, and as a added bonus, the high quality attached earphones can be adjusted in a variety of positions for the best possible fit in your ear. Keep the harmful suns rays out of your eyes, and at the same time take your music and files with you wherever you go with these made in China wholesale MP3 gadget sunglasses.